Chromium(VI) oxide, also known as chromium trioxide, is a chemical compound. Its chemical formula is CrO3. It has chromium in its +6 oxidation state. It also has oxide ions. It is a solid used in cleaning glass. 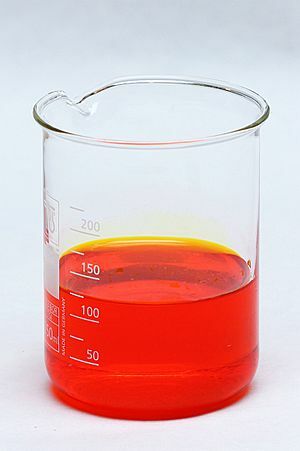 A concentrated solution of potassium dichromate in water. 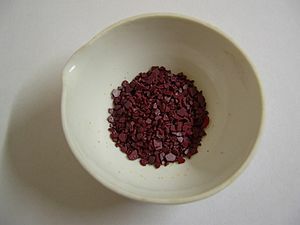 It is a dark red crystalline solid. It is a strong oxidizing agent. It can ignite alcohol when it is mixed with it. It is very toxic and irritates skin. It is a stronger oxidizing agent than chromate. It dissolves in water to make chromic acid, which is acidic. It reacts with strong bases to make chromates. It gives off oxygen when heated and turns into chromium(III) oxide. It is normally made by reacting sodium chromate or potassium chromate with sulfuric acid. It can also be made by drying chromic acid. It is used to clean glass. It is also used to plate chromate on things. It reacts with metals to make a metal chromate which stops the metal from corroding. Chromium(VI) oxide is very toxic and irritating. It is a carcinogen and can cause mutations. It can be destroyed by reacting it with a reducing agent like ferrous sulfate. It is a dangerous hazard to the environment. Addition of sulfuric acid to the solution. Crystallization of chromium trioxide from the reaction. 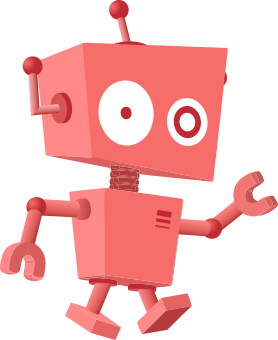 Chromium(VI) oxide Facts for Kids. Kiddle Encyclopedia.